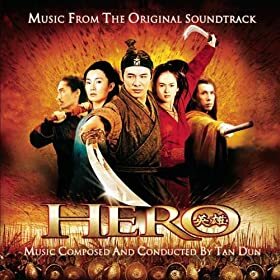 Tan Dun created an amazing score for this film. At times it is quiet and somber through the use of violin and wordless female vocals while at other times the use of horns, percussion, and wordless male vocals give the feel of being at a royal court surrounded by countless of the king’s finest troops. One of my favorite tracks is “In the Chess Court” which utilizes a stringed Chinese instrument called a guqin which is an acient lute. It is just beautiful. While this is a wonderful album, it revolves around two very specific sounds, the quieter somber pieces and those which rely on the drums and horns. It is not for every campaign, but I still recommend it. It would work well in any medieval fantasy setting, especially one set in an Oriental Adventures campaign.